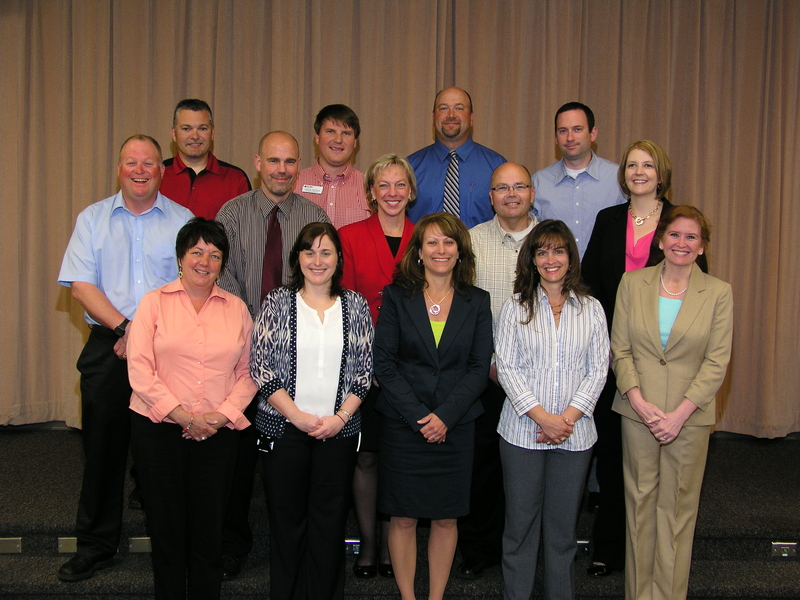 Last week, members of the FVTC Executive Team and I had a chance to spend the morning with the participants in our 2012-13 LEAD Academy. A dozen members of our staff were wrapping up their year-long experience in this leadership development academy, an experience that I’m certain has changed each person in some way. This is the fourth group of LEAD academy graduates to complete this experience since we launched the program. We were so pleased to celebrate with them and hear about the projects that provided “stretch” to their work this past year. These were amazing new initiatives in their own right. But what impressed me the most was the passion and commitment brought by each person in doing something that would really make a difference in their department, division or the College as a whole. And almost every project involved some key improvement for our customers—students, employers, agencies, or internal customers. Completers of the 2012-13 FVTC LEAD Academy. Each of these individuals expressed their gratitude for this experience, the opportunity to evaluate their trajectory, to develop additional skills, and to grow. Each clearly has developed a new network of internal resources (many of whom didn’t know each other prior to this experience) to turn to for guidance and support in the years to come. Each has grown in some way, and I’m certain will be looking forward to giving back through new opportunities at the College in the future. Next month, we will launch our fifth LEAD Academy cohort for 2013-14, and I’m excited to give another group of exceptional employees a real opportunity to spread their wings.